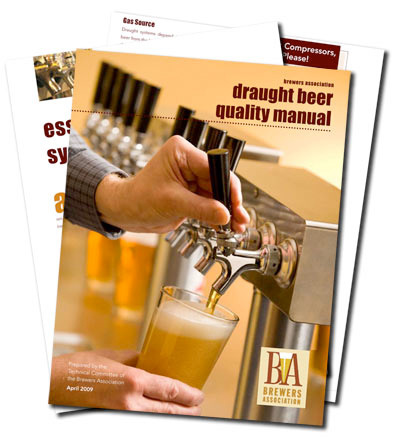 One of the most interesting things announced at the Craft Brewers Conference in Boston last week was the Draught Beer Quality Manual published by the Technical Committee of the Brewers Association, in collaboration with all of the large brewers, as well. As a result of working with virtually the entire industry, the manual should become the industry standard for all things concerning draft beer. The committee was headed by Ken Grossman, of Sierra Nevada Brewing, who is known for his attention to detail and thoroughness. Everyone I know who’s looked at the manual so far has nothing but high praise for it. If you own or work in a bar or any other place that serves draught beer, or are simply interested in the subject, you should get a copy of the manual. Happily, it’s available free of charge online at DraughtQuality.org as a Wiki and the entire thing can be downloaded as a pdf, also free of charge. It includes just about everything you ever wanted to know about draught beer. How do i get hold of a Draught Beer Quality Manual and is there any cost?